may be an early release for wiz buut, is this version based on a new enough Final Burn to have PGM game support? It's working quite well with my CPS1 roms, except I can't figure out how to assign keys in 4-6 button games. Is this even possible I wonder... ?? An amazing arcade emulator... when the new version with the Sega System 16 support (Altered Beast, Golden Axe, Shinobi, ecc.)? 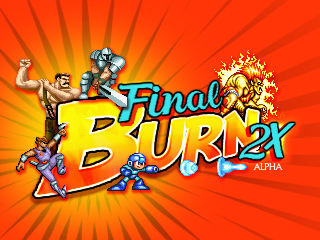 What version of finalburnalpha .dat file would be needed to format the roms for this release? Can't get Blazing Star, PreHostoric Isle 2, Pulstar, Shocktroopers, Strikers 1945 Plus, Metal Slug3,4,4plus to work with any rom I try. CPS2 emu has higher compatibility rate but FBA is faster. Seems to work fine for some games, but for others (example, Darkstalkers) all I get is a blank screen -- but I can still hear the audio. Any thoughts, am I perhaps doing something wrong? how the heck do you exit the emulator. I've tried all the button combos I can think of. I would ask for help at the boards but it's not possible to create a new account there apparently, and i can't create a new thread in the "I need help" section so I have , no other choice aside from asking here directly in hope that someone sees it. I can't launch any rom that has cache files for it sitting on the SD card (those flagged in blue). And for some games that seem to require them, even when launching a clone rom (flagged in green), the emulator seems to get stuck upon loading it (every time, it's on the files that end with 14m in the file name), such as Marvel vs Capcom, Marvel vs Street Fighter, or Street Fighter Alpha 3. Those are the larger roms so I guess the console gets stuck when the RAM is full from trying to load games too large to fit in the RAM, which in turn would suggest that the cache files, though detected for those games, since they're flagged in green, are not used at all. I'm using the latest version of the emulator, running of a 16GB class 10 card. Help would be greatly appreciated. Thanks in advance =). I cannot get Final Burn Alpha to work at all on my Wiz. Freezes at the menu, sometimes it doesn't even make it to that. I've tried everything. Anyone else having problems getting it to run?